Hi friends!! Another full week in the books and I'm excited to greet this Friday! My friend is coming up from Florida for a visit and that means another girls weekend for me!! Let's get right to the favorites shall we - linking up with Amanda and April! Remember back when I said I was having a moment with hot pink items - well I finally found the perfect hot pink wallet! I love that there are so many compartments and that I have change in the same wallet without having to have a coin purse. I love the color because I'm not digging through my black hole of bag to find my wallet and even though I don't usually have my phone in my wallet it is large enough that my iPhone 6 and a lip gloss would comfortably fit! It had been a few weeks since I visited the TIU channel and I loved their "movie night" workout. It's perfect when you're watching your favorite Bravo shows....or my new favorite ABC Family reality show - Next Step Realty - so bad it's good! 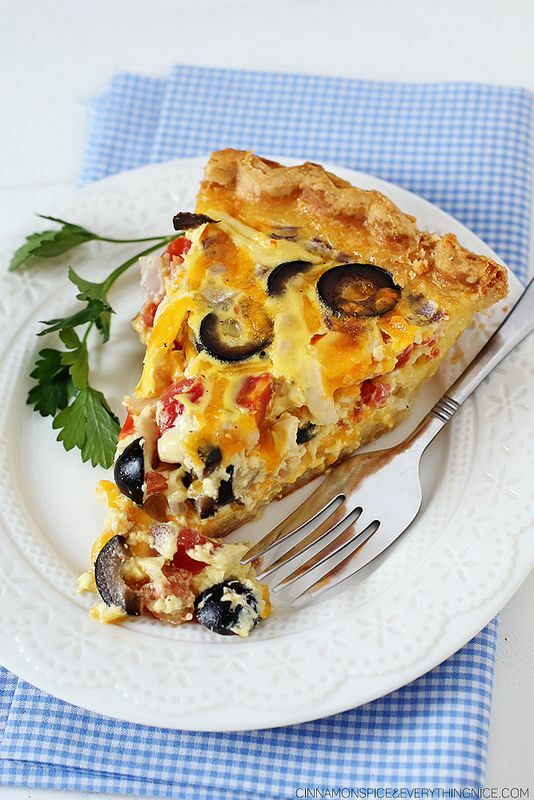 How delicious does this tex-mex quiche look! I'd more than likely make it the night before to just heat up for lunch and dinner the next day! Time saver and tasty - sign me up! We stopped by the Lush store in Charleston over the weekend and I was surprised to learn that they have a whole slew of makeup products - news to me! 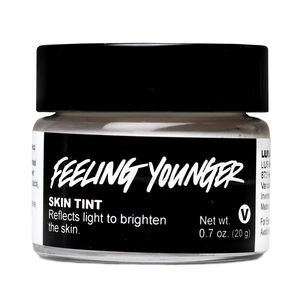 I asked for a sample of their concealer (light yellow color) and then the sales person also suggested I try the "feeling younger" tint that acts as a highlighter. I have been mixing both together for a really great look! I love the price tags of both as well since they are under $20 and the products aren't harmful to my skin! + How many of these life changing apps do you have? 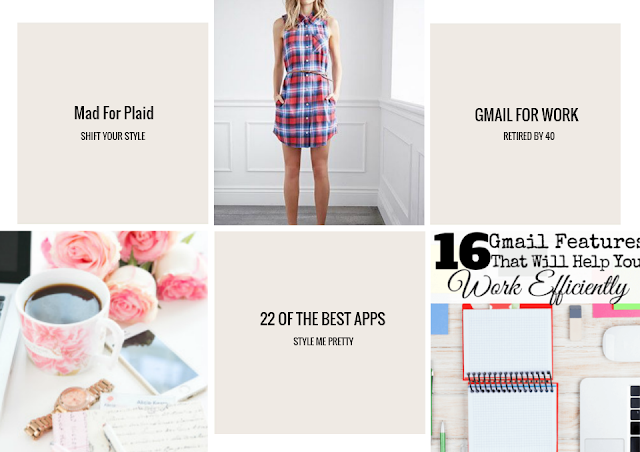 + Use these 16 G-mail tricks to work more efficiently + Are you jumping on the plaid fashion train - you will after you read this post. Love your new wallet, it's just like mine! Hot pink is so fun :)! I am a huge fan of Lush products, they just feel so luxurious and look pretty too. I'll have to check out the ones you mentioned. And of course, check out your links, you always have such fun and informative links! 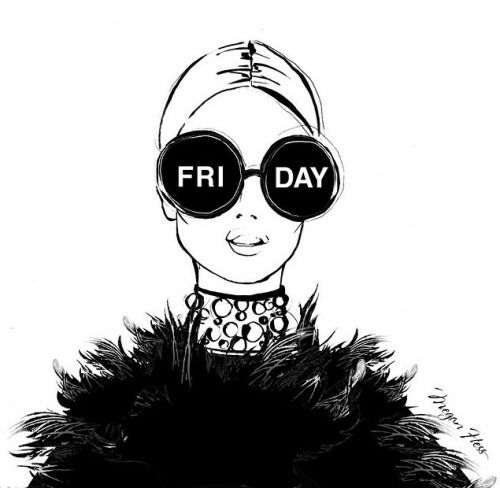 Happy Friday, pretty! Yay for girls weekend round 2! I wish I was up there hanging out with you guys! And glad to hear you're liking the Lush products, I meant to text you about those! Totally pinned that plaid dress from you and I am on the hunt to find it today at lunch haha! SO cute! Happy Friday love! Oh my, I am loving your new hot pink wallet!! It's perfect!! Love the dolka dot inside. So fab! I am going to have to go the lash store and try out those products. You find the best concealers. I had no idea they had them. I love anything plaid! So excited for fall so that I can finally break out my plaids. Have a fab girls weekend. Ohh I love the layout of your link portion this week - so chic! I can not get enough quiche and have been craving some all week. I'm taking this post as a sign :) Have a great girl's weekend!! I absolutely love Lush products! No one nails the rose scent like they do! Have a fabulous weekend! I had no idea Lush sold makeup! We don't have a store near me so I haven't been in a while...but I love their bath products! And, that quiche!! Delicious. I love the TIU workout channel! They have such creative ways to break a sweat... And normally in less than 20 minutes! mmm i love a good quiche (or frittata) that has been reheated. so good! that wallet is gorgeous! and so smart having it all together like that. i need a new one. I love the wallet - great find :) Always enjoy the links you share!! Happy Friday! I can't wait to wear my plaid dress that I ordered. Definitely want to bust out the Fall clothes! I need to head over to lush and pick up that concealer because I love all the other samples that I got. Hope you have a fabulous weekend! Such a pretty wallet! 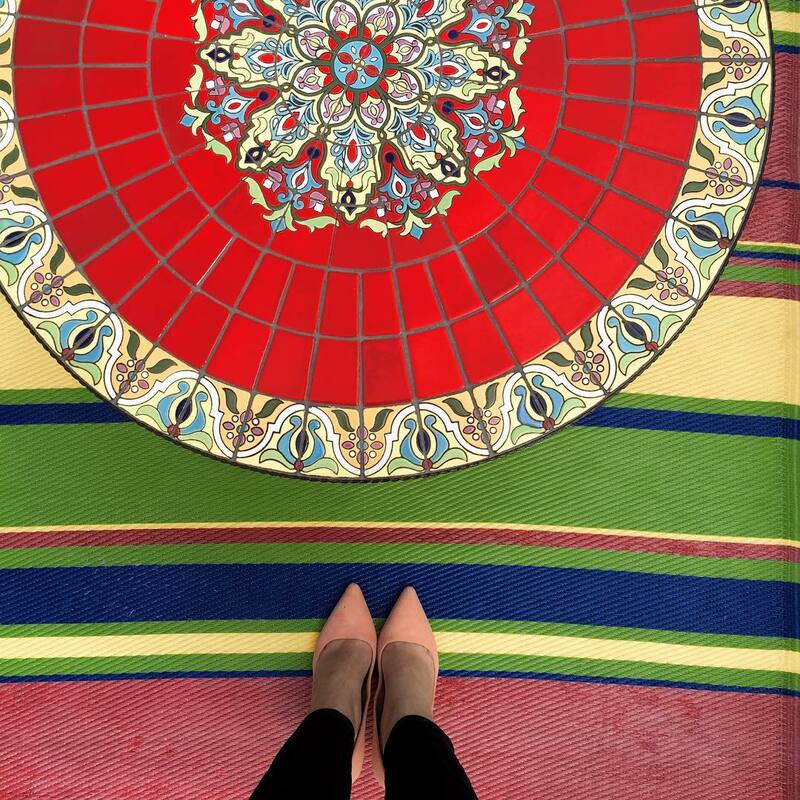 I love bright colors for that exact reason - it’s always easier to spot! That wallet is perfect! I love quiche and those lush products look amazing! There is a store in the city that I still have not made it to yet! I need to go. I'm going to go check out that app article! xo Enjoy your time with your friend! That wallet is SO adorable! Such a fun bright color. I love Lush products so I will have to try those out! 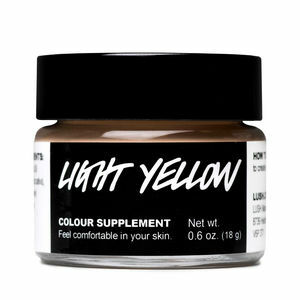 Always looking for something to make the skin brighter! email is the bane of my existence, so any and all tips, please! i can't wait to check out this article! have a wonderful weekend, biana! That tex mex quiche sounds delicious--I love anything mexican flavored. Love finding a good beauty product--sounds like you hit the jackpot with those two!! That Tex Mex quiche looks amazing! Tex Mex is pretty much it's own food group for me so I definitely want to try it! yay for a friend visit! who doesn't love that?! and love the wallet - it's perfection. mine is like that with a zipper and sometimes i just grab that when i don't want to carry my whole purse. it's worth it! happy friday love!! Yay for another girls' wknd!! Oh my - you know i LOVE that wallet. Pink is one of my love languages! Sooo pretty and useful. And I can't wait to try that quiche recipes. My hubs actually really loves quiche so I fix a basic one quite often. This will be so fun to try! That wallet is so fun! I love anything hot pink…any shade of pink really. I need to try that workout too. I hope you have a great weekend! 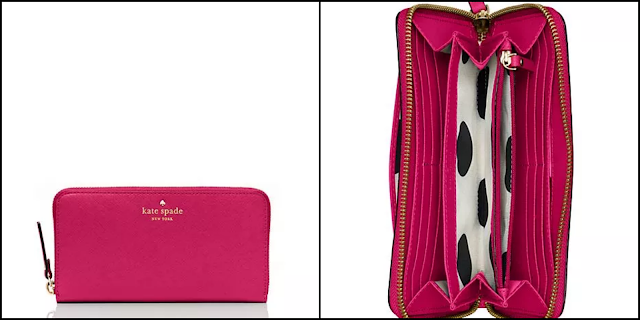 That Kate Spade wallet is fantastic - it looks like the perfect wallet! Two girls weekends in a row?! Heck yaas! (: Love that wallet! Hot pink is hard not to be obsessed with. A long time ago I was obsessed with those Lush skin supplements and honestly I think the only reason I stopped using them was because I moved 2 hours away from one. (; If they still have their line of eye liner, you should check them out. They are amazing quality and the bottles are adorable! Have a great weekend! Adore that Kate Spade wallet! Eric got me a hot pink MK wallet for Christmas so I haven't been able to justify getting a pink Kate Spade yet... but I'm thinking a KS pink purse will be my next purchase... after I'm done carrying around a diaper bag for the baby, ha ha! I can't WAIT to try that workout after I'm no longer pregnant! I'm starting to get antsy to be able to do this stuff again, ha! It sounds like you're gonna have another fun weekend! Enjoy!! The wallet is so cute. I like being able to stick my phone in my wallet when I don't feel like wearing a purse. TexMex Quiche looks delicious! Ohhh, that wallet is fabulous - You know I have a thing for hot pink :) Have a wonderful weekend girly - enjoy the time with your friend! Love your new wallet and that plaid dress is so cute. Perfect for fall! 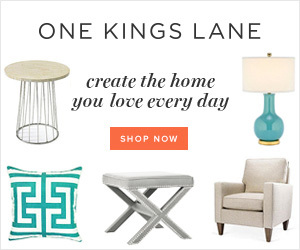 OBSESSED with your KS purchase - gorgeous! And yay for Lush! I discovered it in Chicago, and have been loving their products ever since! Love the wallet! I think I might have to swing by Lush on my way home today. I am due for some new body wash, haha! Have an awesome weekend! Love the tips to make G-mail more efficient! 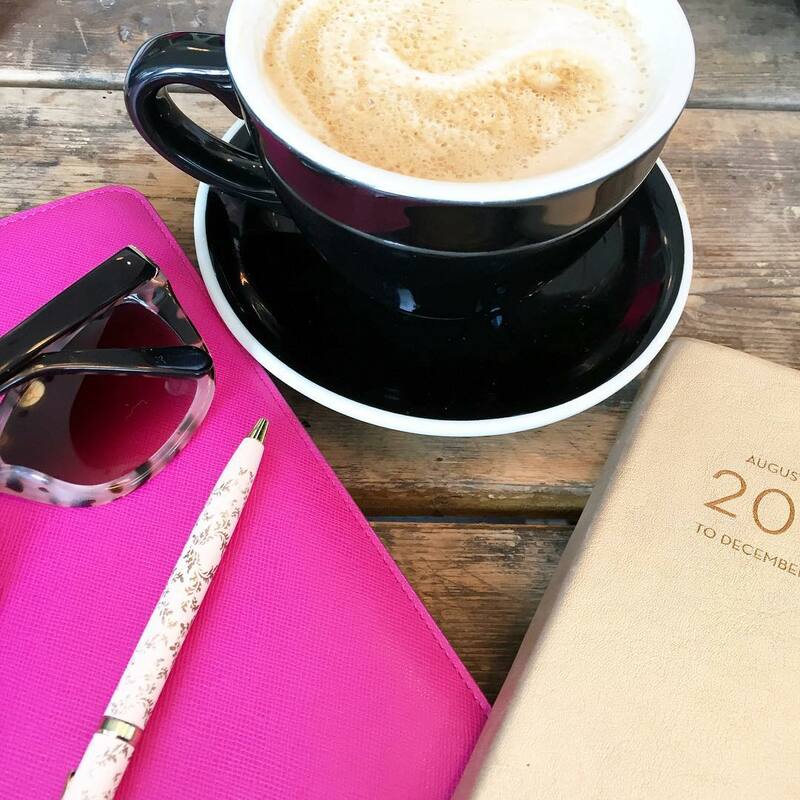 I'm always looking for tips to help me work smarter! I LOVE that plaid dress!!!! I am totally on the plaid bandwagon, I just picked up a plaid shirt yesterday that'll be perfect for fall and winter. Can't wait! Have a great weekend! I just went to LUSH for the first time the other day!!! I didn't even notice their makeup products! What lush sells makeup!?!? I have never been into a store and I seriously need to change that! That Tex-Mex quiche looks amazing! I saw the black olives and thought it was some crazy pizza at first! That quiche looks divine!!! Also I thought I was a whiz at gmail buy dang - thanks for that article! Love that hot pink wallet! Also, I need to check out those TIU workouts! Yay for girls weekend! Have a blast! I also have the same wallet in turquiose. Love how many compartment it is....the pink one is gorgeous too! I love making quiche...it's really quite easy. I'm going to have to try this tex-mex version. Looks yumm! Love that Kate Spade wallet, mine is very similar, however not kate spade. I want to make that tex mex quiche, looks delicious and easy to make. And Gmail tips and tricks! Always need that, especially since I use gmail so much nowadays. Such an amazing wallet! That shade of pink is wonderful! Next time I go to lush, I definitely need to check out their makeup. Thanks for sharing! I loved this post. I can't get through on your quiche link but I might whip up a crustless one like that for breakfasts next week. I love the wallet liner and LUSH products. They rock! What a cute wallet! I treated myself to a new one last week and can't stop filling and reorganizing it... so much fun! Too funny! I was just about to post the Movie Night Workout! The Bikini Booty is another good one to do while watching TV. I posted about some TIU movies too this week! I will have to try that highlighter from Lush! I love your new wallet, so pretty!!! I haven't tried Lush before but I really want to. We dont have a Lush store here so I keep waiting until we head to Atlanta again to grab some stuff. I only have Waze and Evernote on that app list, some I haven't even heard of. Hope you have a great weekend! I love the app link, so many great ones in there to try! Hope you have a great weekend! love your blog ...........Lush has parabens ! eeeeek ! avoid them at all costs ! A wallet with a ton of compartments is a must!!! :) I hope you have a great weekend girl!!!! Love that wallet!! That quiche looks amazing!! Hope you have a wonderful weekend with your friend! That quiche sounds delish. The plaid dress is so cute! I have 3 gmail accounts so I need to check out those tips! Happy Friday! Definitely pinning that gmail hack for later... You always find the best links!! Love the polka dot lining of that wallet!!!! I love that Kate Spade wallet! I'm dying over the polka dot lining! Great roundup last week! I had no idea that Lush had makeup items, I hope to hear more about them from you! Love the wallet that you picked out, too. Hope you had a fun weekend with your girlfriend! That's a lot of walking!! Loved your photos!! Sounds like you had a great weekend! !